This is just like every other "Best Thai in Chicago" guide you've ever read, but, like, well, um, infinity times better than all of those, thanks to secret menus, house-made hot sauces, and boat noodles served WITH PORK RINDS. 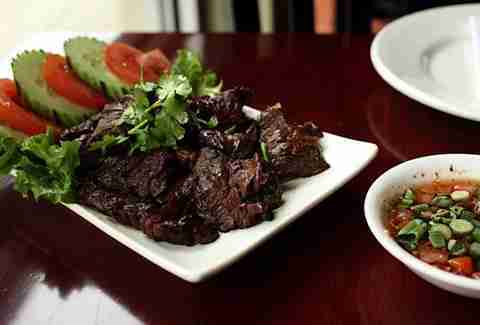 Jin is a relative newcomer to the Thai scene, but it rivals the best the city has to offer. 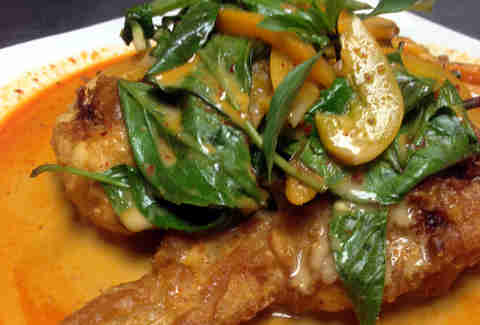 You’ll find the usual array of salads, soups, and noodles (kao soy is a standout), but first head straight to the specialties section of the menu and ask for the hot curry catfish, which serves crispy fillets of catfish over a bed of eggplants in a heat-cranking spicy curry. Andy Aroonrasameruang turned TAC Quick into a city favorite before leaving to start his own place a few years ago. Fortunately for us he brought along some of his staples, like boat noodles, which marry rice noodles with beef brisket, pork rinds (! ), Chinese broccoli, and bean sprouts in a sweet and spicy broth. They're the perfect pick-me-up on (another) cold winter day. The regular menu is full of the usual Ameri-Thai dishes, but a specially translated, not-so-secret "secret" menu is where to find the really good stuff. Pad Thai kung sod haw khai is a winning combination of glass noodles and shrimp pad Thai folded into an omelet (so you can have breakfast for lunch or dinner), while classic Northeastern Thai fermented sour sausage (Sai Krog Isaan) is grilled to perfection and guaranteed to be different from any other sausage you’ve ever had. Fine dine-ery Arun’s has long set the standard for Thai in Chicago, picking up countless accolades and awards over the last 30+ years. If you’re willing to splurge a little more than usual on Thai, the ever-changing tasting menu is the move -- it offers creative takes on Southwest Asian fare as well as traditional courses such as spring rolls and panang beef curry. Spoon was one of the first Chicago Thai restaurants to start the “secret” menu trend that would make its way around the city. Nowadays, all diners have access to Spoon’s full array of dishes, including the kai tod -- Thai-style chicken wings marinated in fish sauce, deep-fried, and served with homemade tamarind sauce. The must-try, though? 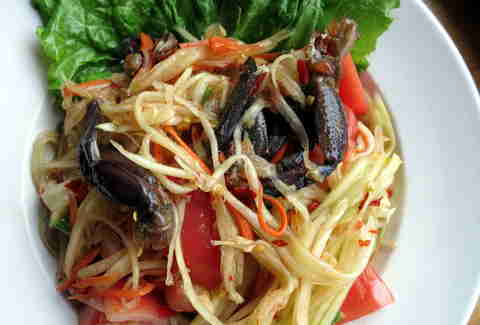 The Somtum pu. This traditional spicy green papaya salad lights the mouth on fire with a mixture of string beans, tomato, carrot, peanuts, and crab in a lime dressing. Rangsan Sutcharit, a nine-year Arun’s vet, takes his fine-dining expertise and pairs it with delectable dishes at an affordable price point at Amarind's. The carefully presented plates are as tasty as they look, including the eponymous Amarind’s Noodles, featuring spinach noodles with a plethora of shrimp, crab, bean sprouts, garlic chive, and scrambled egg in a chili sauce. Tom Yum is a hallmark of any Thai menu and the version at Aroy is as good as it gets. The rich and funky, spicy and sour broth is loaded with beef balls, tender beef, green onions, and mushrooms, and it pretty much guarantees to keep you warm during the next few months, especially for those who commute -- thanks to the restaurant’s close proximity to the Damen Brown Line station. It’s one of Chicago’s most popular Thai spots, and for good reason. While you can’t go wrong with any dish on the menu, the surest bet is to stick with the Northern Thai specialties that the restaurant is known for. 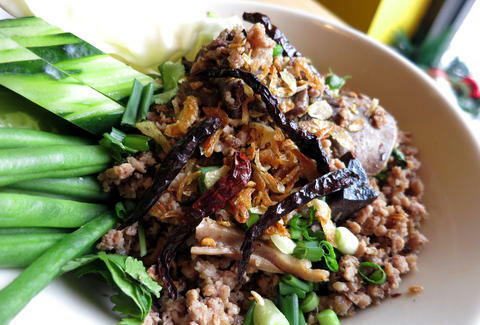 Northern Thai larb is an intensely flavorful mix of ground pork and intestine, stir-fried with a blend of spices. It packs just the right amount of heat to keep things interesting and even the most offal-adverse diners will find it pretty damn delicious. 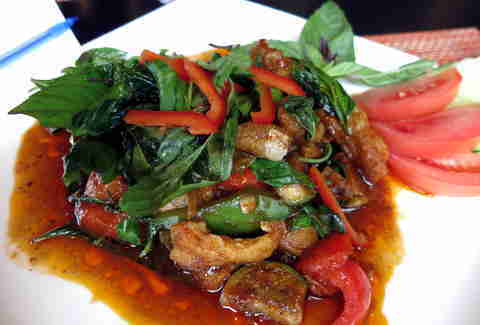 With two locations in Chicago, Opart is without a doubt a popular destination for some authentic Thai fare. 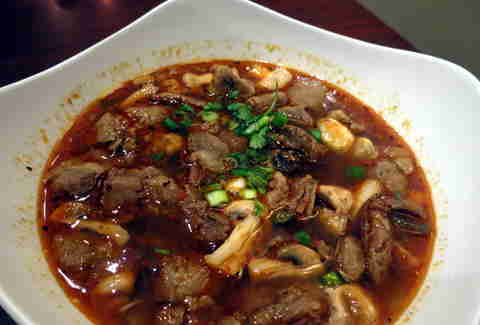 Start the meal with the restaurant’s most well known dish, Tiger Cry. Charbroiled beef is served with a house-made hot sauce that will have you crying... over how good it is. (See what we did there? DO YOU???). As the name implies, this Argyle spot has a full complementary bakery in front offering cookies, cakes, ice cream, and other pastries. The regular menu is what you're here for, though, with a quality selection of noodles, curries, and lunch specials. You’ll definitely immediately get the fried stuffed chicken wings with panang curry -- a unique take on wings you definitely won’t find at BW3. This under-the-radar Ravenswood spot counts all of the standard American-Thai dishes you’d expect along with some fusion items like shumai and calamari. The best time to drop in? After 8pm, when the "secret" congee menu is available; you’ll get a bowl of rice porridge to go with a few sides of your choosing, ranging from pork belly and Chinese sausage to ong choy (water spinach). Bonus: the restaurant stays open 'til 1:30am. 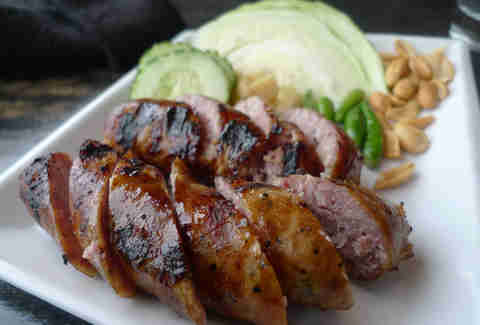 Jeffy Mai is a freelance writer who will make the entire table wait while he photographs each dish. Three times. Follow him on Twitter @jmai.